James Joseph Cassidy will be sentenced on 29 April. A MONAGHAN MECHANIC has been found guilty of IRA membership by the non-jury Special Criminal Court. James Joseph Cassidy, 55, of Tullycollive, Castleblayney, Co Monaghan, had denied membership of an unlawful organisation, styling itself the Irish Republican Army (IRA), otherwise Óglaigh na hÉireann, on 21 September, 2016. In his opening address to the three-judge court at the end of January, prosecuting counsel Paul Greene SC said gardaí discovered a “water booster tube” during a search in and around Cassidy’s family home and sheds which he owned or had access to. The prosecution said there would be evidence of this device’s similarity to one seized during another prosecution in Kilcurry, an area “not very far away from where we are talking about”. Counsel said gardaí found the gated property to have had a “high degree of security” with ten St Bernard dogs “who behaved rather aggressively”. He said that gardaí also found three mobile phones and “items of Republican paraphernalia” that would be exhibited in the trial. He said there would also be evidence of the accused’s association with a number of convicted IRA members and people of a group called the Republican Network Unity (RNU). Chief Superintendent Christopher Mangan gave evidence during the trial of his belief that Cassidy was an IRA member on the date in question. He claimed privilege on the sources of the confidential information on which his belief was based. Detective Sergeant Oliver Flaherty, of the Special Detective Unit (SDU), told the trial that he was involved in the search of the accused’s premises and adjoining lands on 21 September, 2016. The detective said that he found a black metal pipe, about 40cm in length, with drilled holes in a shed. It was found on the floor in a small space between the rear of a vat or box and the wall. It would not have been visible to anybody walking into the shed, he said. Detective Inspector William Hanrahan, of the SDU, gave evidence that he had previously seen similar tubing in relation to “other IRA operations”, which was a booster tube. Delivering judgment yesterday, Mr Justice Tony Hunt, presiding, sitting with Judge Patricia Ryan and Judge Ann Ryan, said that the court accepted the belief evidence of Chief Supt Mangan. “He assured us on more than one occasion that his belief was not founded on the defendant’s arrest or detention and we accept these assurances,” the judge said. The judge said belief evidence must be supported and corroborated by other evidence in the prosecution case. The prosecution had relied on evidence seized during a search of Cassidy’s home and matters arising from his conduct prior to 21 September, he outlined. The judge said that the length of the black metal pipe found in the accused’s shed was the first plank of supporting evidence relied on by the prosecution. “The prosecution’s case is that this item is a booster tube which is an intricate part of an explosive type device,” explained Mr Justice Hunt, adding that the booster tube was similar to items seized at Kilcurry. 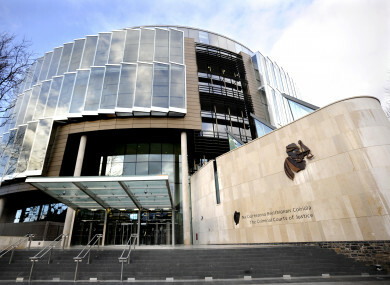 The judge said the defendant had denied any knowledge of the booster tube which was found in the shed and told gardaí that he did not own the shed and other people had access to it. The evidence is that the accused was the only person using the shed at the time and the farm was in a “generally remote location”, which was not easily accessible to any third party, said the judge. The judge said the court was satisfied that the likelihood of some person other than Cassidy placing the booster tube in the shed was “so remote and fanciful” that it could safely be dismissed. “There is no evidence that anyone else had such access,” he said, adding that the presence of the booster tube in the shed was not an unfortunate coincidence. Furthermore, the judge said the accused’s answers to gardaí concerning his knowledge of the booster tube were false and untruthful. He said strands of evidence in relation to the booster pipe, a USB key and mobile phones were part of a “pattern of behaviour” that supported the belief evidence that the accused was a member of the IRA on the day in question. Cassidy was remanded in custody until 29 April, when he will be sentenced. Comments have been closed as sentencing is yet to take place. Email “Monaghan mechanic (55) found guilty of IRA membership at Special Criminal Court”. Feedback on “Monaghan mechanic (55) found guilty of IRA membership at Special Criminal Court”.